Tata Motors Group is one of the oldest car manufacturing company in the country. It has some bestselling vehicles, which are very prominent across the country. 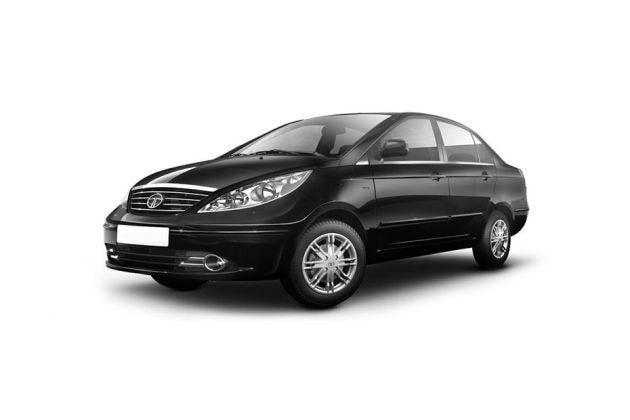 Among them, Tata Manza is an elegant sedan, which was first launched in 2009. It is being sold in four variants and all of them are equipped with a 1.3-litre CRDi power plant. This engine has the capacity to churn out 88.76bhp along with 200Nm of peak torque output and is coupled with a five speed manual transmission gear box. The Tata Manza Club Class Quadrajet90 LX is the mid range trim and the company has equipped this premium sedan with quite a few exciting comfort features, which will certainly impress the buyers. Some of these features include a seven speed front wiper with a smart wipe function, a powerful air conditioner unit, front power windows and many more such aspects. On the other hand, the exteriors of this sedan are quite decent and are equipped with striking features. The overall dimensions are quite standard and can easily accommodate five passengers very comfortably. The total length stretches out to 4413mm along with an overall width of 1703mm, which also includes the external rear view mirrors. Its height is 1550mm and it has a roomy wheel base of 2520mm. The ground clearance of this vehicle is 165mm. This impressive sedan has a 460 litre luggage compartment and a centrally mounted fuel tank, which can take in approximately 44 litres of fuel in it. The company has done up the exteriors of this sedan quite stylishly. The frontage has a bold radiator grille with four horizontal chrome slats and is integrated with a large company logo in the center. This grille is flanked by a radiant headlight cluster, which is equipped with high intensity motorized clear lens head lights and turn indicators. The body colored bumper is fitted with a big air dam with two slats that helps in cooling the powerful diesel engine quickly. The bumper has also been fitted with body colored rub rails with chrome inserts for added protection from minor damage. The large windscreen gives the driver a better view and is fitted with a pair of seven speed intermittent wipers with a smart wipe function. Coming to the side profile, it gets internally adjustable external wing mirrors with side blinkers along with pull type door handles, which are painted in body color. The neatly carved out wheel arches have been fitted with a set of 15 inch steel wheels, which are covered with 185/60 R15 sized sturdy tubeless radial tyres that offers superior grip on the roads. The rear end gets a large windscreen, which has been integrated with a defogger and a high mounted stop lamp. The body colored bumper has been integrated with a pair of reflectors, a chrome plated boot lid and stylish taillight cluster as well. The seating arrangement is extremely lavish with well cushioned seats, which are covered with fabric upholstery. It provides ample leg space for all the occupants and is integrated with adjustable headrests for added comfort. Other utility based aspects include storage pocket in front doors, a glove box with card and pen holder, front and rear cabin lights, anti glare internal rear view mirror, power outlet at front console, bottle holders, front seat back pockets and several other aspects. Apart from these, it also has an instrument panel, which is equipped with a tachometer, digital clock, low fuel warning light and a driver seat belt reminder. It is equipped with a power packed 1.3-litre diesel mill, which comes with a displacement capacity of 1248cc . This engine is integrated with 4 cylinders, 16-valves and has a common rail injection based fuel supply system, which allows the vehicle to produce about 21.02 Kmpl on the highways and 19.67 Kmpl in the city limits. It has the ability to yield maximum power output of 88.8bhp at 4000rpm in combination with a peak torque output of 200Nm between 1750-3000rpm. This diesel engine is cleverly mated with an efficient 5+1 speed manual transmission gearbox that transmits the engine power to its front wheels. This highly acclaimed Quadrajet engine can reach up to a top speed in the range of 165 to 170 Kmph. At the same time, it has the ability to cross the 100 Kmph speed barrier in close to 18 seconds. The company has given this vehicle a vacuum assisted independent dual circuit braking mechanism that is diagonally split with hydraulic brakes through a tandem master cylinder. The front wheels are equipped with ventilated disc brakes, while the rear wheels are fitted with drum brakes. On the other hand, the front axle is fitted with an independent lower wishbone along with a McPherson strut that has a coil spring. Whereas, the rear axle is equipped with a semi independent twist beam, which also has the similar coil springs and it is assisted by hydraulic shock absorbers. This variant is blessed with a power assisted rack and pinion based steering system, which supports a minimum turning circle of 5.1 meters. This Tata Manza Club Class Quadrajet90 LX trim is blessed with some of the exciting convenience features. The inventory of these impressive features includes an advanced 2-DIN audio system that is integrated with CD/MP3 player, Radio with FM/AM tuner, infrared remote control along with 4 speakers. It also has a few input options like a USB interface and an Aux-In port as well. Apart from these, it has a multi-functional steering wheel with audio and phone control buttons, a driver information system with a few functions, and other such aspects. The efficient air conditioning system cools the entire cabin quickly. In addition, it is also equipped with a tilt adjustable steering wheel, all four power windows, anti glare internal rear view mirror, sun visors with passenger side vanity mirror, boot lamp, lumbar support for driver and front passenger seat. The list of safety features includes a collapsible steering column, central locking system , rear door child locks, seat belts for all occupants, engine immobilizer, high mounted third brake light, remote controlled keyless entry and many more such crucial protective features. 1. Lack of ABS and EBD.